Known for their fleshy, exotic fruits, lychee (Litchi chinensis) trees have a long and storied history in Chinese literature and culture. More recently, they have been imported to the United States, where they grow happily in warmer climates. In colder ones like Michigan’s, however, they will die in the wintertime if not brought indoors when temperatures drop. 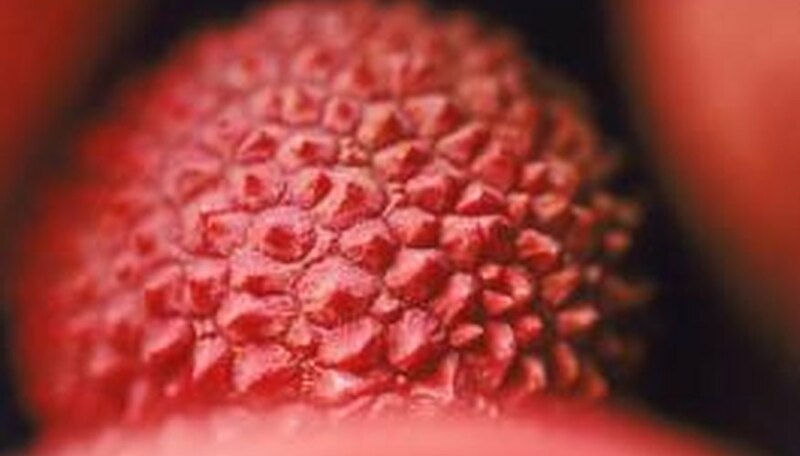 A monoecious, broadleaf evergreen, lychee is also referred to as litchi, lichi, lichee, laichi and leechee. The white-fleshed fruits are covered with a round, warty red or pinkish-red hull that when ripe peels easily from the fruit. Inside the translucent flesh, which can also take on a pinkish tinge, there is an inedible pit or seed. Because lychees dry to a dark brown, raisin-like consistency with a hardened outer skin, they are sometimes referred to as nuts, although they are not. Showy yellow flowers bloom in spring and are followed by fruits in early to late summer. Native to southern China near rivers and the coastline, lychee grows best in the tropical and subtropical regions of the world. It is winter hardy in U.S. Department of Agriculture plant hardiness zones 10 through 11, while Michigan’s USDA zones range from roughly 4a to 6. Lychee, therefore, will not do well outdoors during the Michigan winter. However, although it isn’t their optimal environment, lychee will grow in a container. In its native habitat, a lychee tree can grow up to 110 feet tall, but under cultivation, it usually grows closer to 20 or 30 feet. In a container, it will most likely be even smaller. While lychees would do fine in the ground over the warmer months in Michigan, you will most likely need to grow them in containers year-round to avoid frequent transplanting. Outdoors, make sure you grow lychee in a full sun location with consistent light from all sides. Trim roots on a yearly basis and avoid fertilization, as this will encourage the tree to outgrow its container. Especially in summer, container plants need a higher water complement than do those in the ground. Lychee does well indoors in a brightly lit location. If you cannot provide sun from all sides, such as in a greenhouse location, rotate the tree often to even out the light. A cool, dry period during the winter will promote flowering. If you grow your lychee tree indoors over the winter, you must move it outside in time for flowers to be pollinated. Otherwise, you will have to do the job manually by moving pollen from male to female flowers, or forego fruit altogether.